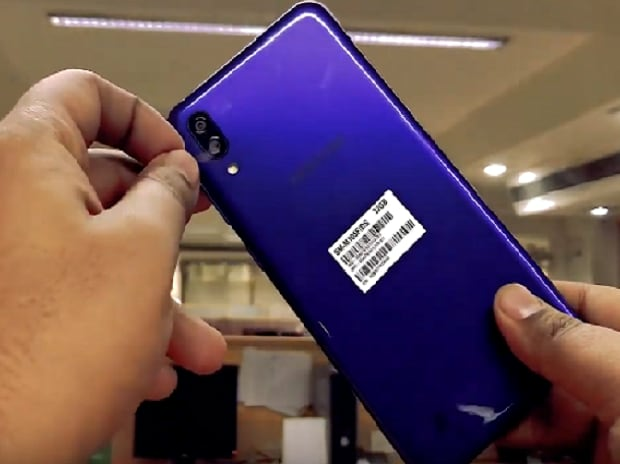 The Galaxy M10 from the stable of South Korean electronics manufacturer Samsung is one of the two smartphones that the company recently launched as part of its India-first Galaxy M series. With the M series, Samsung has brought the much-needed fresh perspective at a time when it has been losing its market share to Chinese brands like Xiaomi and Huawei. 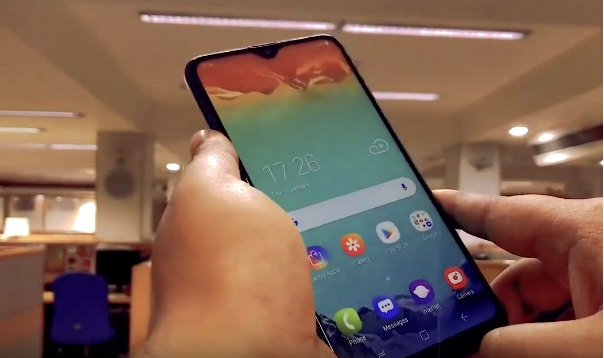 The Galaxy M10 is similar to the M20 in looks, albeit with some modifications. For one, the latter has a uniform unibody design on the back, no fingerprint sensor, and a compact rear-camera module with dual lenses. Similar to the M20, the Galaxy M10 is also made of plastic. The rear panel wraps itself all the way from the back to around the frame on the sides. The glossy nature of the plastic makes it susceptible to fingerprints. It also gets easily smudged, so using a case would be a better option. The Samsung Galaxy M10 has a 6.2-inch Infinity-V display of HD+ (720p) resolution. The display stretches from edge to edge, leaving thin bezels around the screen — compared with other phones in the same segment. The screen has ample brightness to stay legible in bright outdoors. It renders vivid colours and has satisfactory viewing angles. The Galaxy M10 also comes with Widevine L1 certifications for its compatibility with streaming of HD content using over-the-top (OTT) platforms like Netflix. The Galaxy M10 packs a dual-rear camera set-up on the back, with a 13-megapixel primary sensor and a 5MP ultra-wide angle lens. On the front, the phone has a 5MP selfie lens of f/2.0 aperture. The camera output is above average and on a par with other smartphones in the same segment. However, the ultra-wide angle lens on the back proves a good addition, giving the phone an edge. The rear camera manages to capture satisfactory photos in adequate light. Low-light performance is sub-optimal — a common trait among budget smartphones. The selfie camera is decent and does a fair job. The front camera has a smart beauty mode, which improves selfies by removing blemishes on the face. The Galaxy M10 is powered by the Exynos 7870 octa-core processor, paired with either 2GB or 3GB of RAM and 16GB or 32GB internal storage, respectively. The phone performs basic day-to-day tasks with ease. The performance might not be the fastest, but the phone does not show any lag in handling day-to-day tasks like watching videos, browsing the internet, using social media apps, messaging and calling. The phone shows some weakness in performance when tasked with handling graphics-intensive games like PUBG and the Asphalt-series. The apps take a little bit longer to open, and the graphics are not great even after playing the games on low settings. The M10 boots the Android Oreo with a new Experience UI 9.5 on top, which according to Samsung offers a cleaner and smoother experience. The smartphone also comes with the face unlock feature, which works efficiently in good light but struggles in dim lighting. Powering the phone is a 3,400 mAh battery, which is 1,600 mAh smaller in capacity than the one in the Galaxy M20. Therefore, the on-battery time is less than the phone’s elder sibling, but it is still decent for a budget phone. The M10 works for a day on normal use and more than 12 hours on rigorous usage. It does not support fast charging and you get only a basic 5W charger in the box. As a result, the battery takes a long time to charge from zero to 100 per cent.